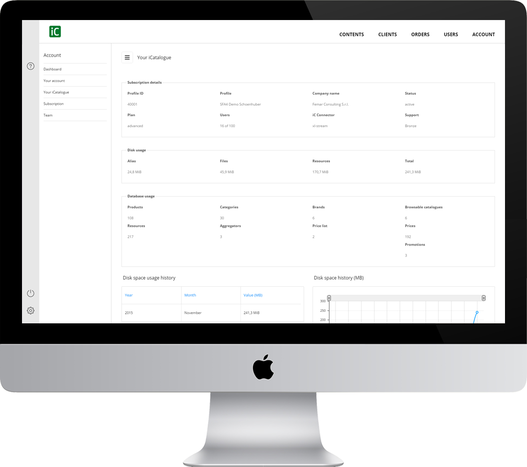 It gives you the control, simplicity and safety you need to power your sales management processes, company-wide. iCatalogue platform scales to fit your business needs, no matter how big or small. The PIM (Product Information Management) iCatalogue platform environment is conceived to offer power and versatility in centralized management for all products information. Technical specifications, photographic and multimedia resources, technical forms, relatable files can be managed in a really simple way and can be indexed with intelligent multidimensional criteria. The result? Both from back office and from the tablet application, data research and usability will make the sales activity dynamic and successful. It is called OQD (Order and Quotes Desk) and it’s the place where you can find all the orders and offers that your company has to manage. 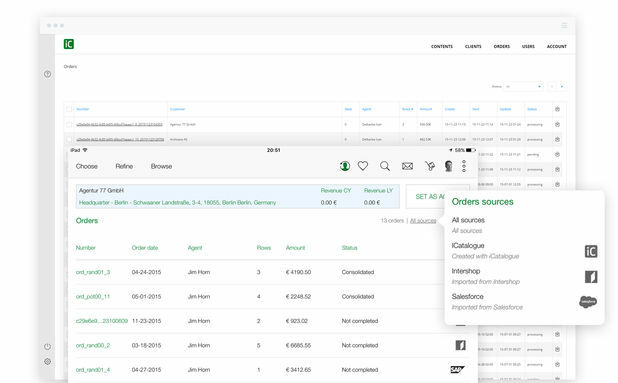 iCatalogue is fully integrable with your ERP or CRM company software; orders can be collected through any channel (sales team app on tablets, B2B store or manually entered using any other system). From the Desk you can check status, consolidation, completion level, origin source. You can modifiy every line, interact with global sales conditions or manage approvals. iCatalogue has an extraordinary sales data analysis environment. ISI (Integrated Sales Intelligence) offers a cockpit rich in primary tools for sales activities full control. 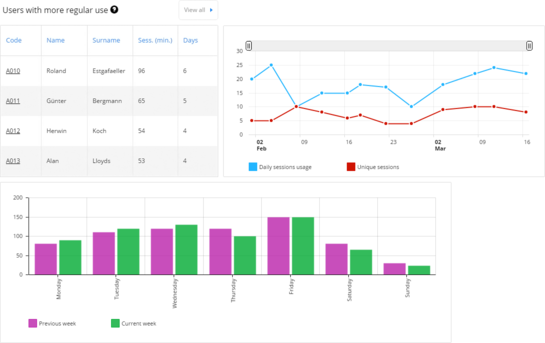 All KPI and drivers necessary to monitor every specific situation can be managed from the different platform dashboards. Also, the BTE (Behavioral Targeting Engine) system allows to control the behavioral activity of all sales reps. The iCatalogue platform sales team control system is extremely articulated. Supervise every manager or sales rep role by groups, subgroups or individually. Configure roles in a simple way assigning any permit or interaction capability with the final customer. Use of resources, traffic, users situation, levels of employment, third party software connection: you have immediate and complete vision from the platform. Sales manager and back office users can manage everything, according to their permit level. The back-office managers can simply manage rules and publishing dynamics to obtain total control on the contents..
You can easily organize cathegories, brands, products, browsable catalogs. You can import from the ERP or/and other sources and enrich information layers with no limits, from the platform. 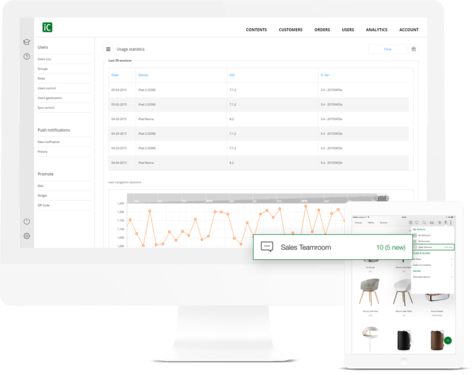 With simple guided procedures, from the back-end, you can pre-configure products segments filtered by attributes, price, availability, tags and creation or alteration dates. From the application and from the Web Order Management system you can link to these aggregators further parameters, making the research more focused and incomparably fast. Import your catalog pdfs and a batch procedure process them referencing the pages in automatic mode. 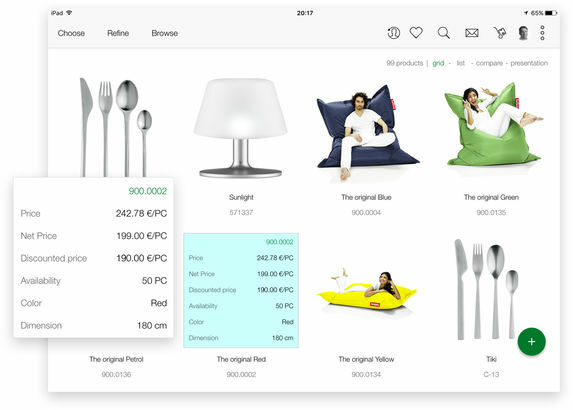 You can automate the association of the items with the catalog pages. You can combine your work to the traditional research, browsing and getting order lines from every page by accessing to the list of references, viewing the specifications individually. 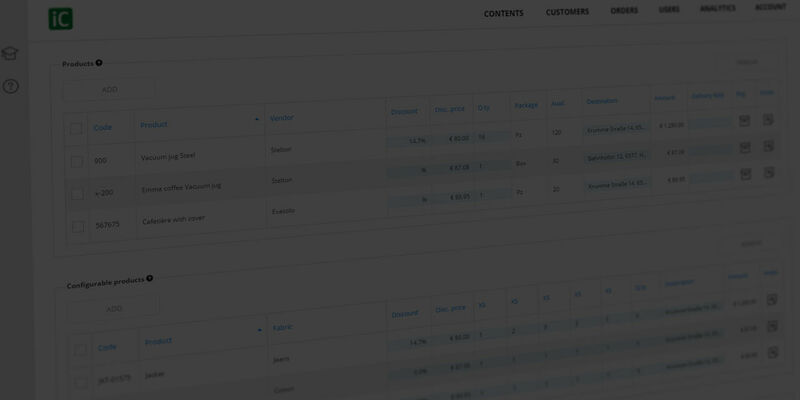 You can control all orders and quotations management activities from the platform. iCatalogue is fully integrable with any other software dedicated to these activities (ERP and/or CRM). In the “Order Desk” area orders coming from any channel (sales force and B2B portal) are centralized. The Web Order Management System makes the acquiring activities more effective. A sophisticated sytem, named IRAS (Initializing and Resync Adjustment System) is devoted to offer maximum usability to middle and big size sales fleets with a high number of items. The architecture considers specific instances for the fast initialization of tha data structure during the first access phase, with automatic resync and data alignement methods. Sales Teamroom is the hub where all the individual, group or company messages, addressed to the sales team members are published. A push notifications system keep all agents and managers update about the catalog contents alterations and changes. Notification levels can be arranged according to the order status, too, with instant messaging via e-mail. A demo, in less than 15 minutes!